Refractive lens exchange is a type of vision correction surgery that involves inserting a permanent, intra-ocular lens (IOL). It’s a bit like having a contact lens put in that you never have to change. This type of surgery is often combined with cataract treatment, with cataracts being removed before the insertion of an implantable lens. It’s also a good alternative for patients who are not eligible for laser eye surgery, generally for patients aged 50+. Which conditions can be corrected? What is great about the surgery is that it can be performed on patients who would otherwise miss out on vision correction surgery. Patients with high degrees of myopia and hypermetropia will experience better results with RLE. 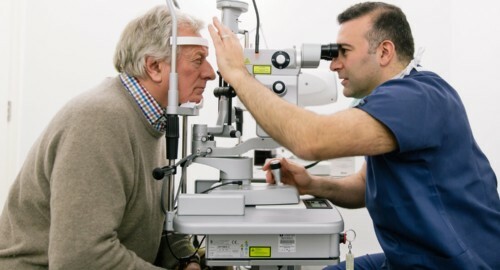 Older patients (generally over fifty years old) looking for vision correction may opt for refractive lens exchange over laser eye surgery as it also treats cataracts. During the surgery, a part of the eye called the crystalline lens is removed through a tiny cut (2.2mm wide). This is the transparent part of the eye that focuses light. It is replaced (or exchanged) with an artificial lens with the right prescription to correct the patient’s vision. The whole procedure is carried out under local anaesthetic, so it’s completely painless and takes around 15 minutes per eye. These days, there’s a wide variety of implantable lenses to choose from, so your IOL can be customised to provide the very highest quality of vision. Monofocal lenses correct for one distance only, usually improving your distance vision while you may still require spectacles for close work. Multifocal lenses make it possible in many cases to do without spectacles altogether, featuring different areas for near and distance viewing. Monovision lenses are different for each eye; one eye will be corrected for long-distance vision, while the lens in the other eye is designed for reading. 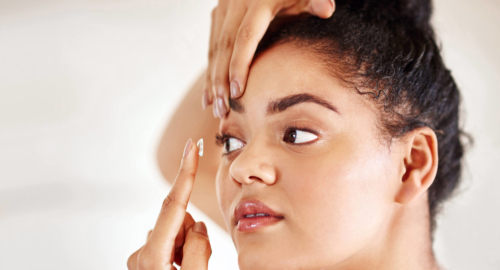 Toric lenses can be implanted to correct astigmatism by adjusting the curve of the cornea. Your surgeon will talk you through the best options for you. To book a consultation with one of our surgeons, please call us on 0808 133 2020 or fill in the online booking form. What is refractive lens exchange? Is it the same as clear lens extraction? Some of the words and phrases surrounding the surgery can be a little confusing. We’re here to make things clear. Clear lens extraction is just another name for refractive lens exchange. Phakic IOL is similar to refractive lens exchange, but it does not involve removing the crystalline lens. Visian ICL is a type of lens used in Phakic IOL and is better for patients under fifty years old. PreLex (presbyopic lens exchange) is the same procedure as refractive lens exchange. This word tends to be used when treating presbyopia. It’s worth remembering just how precious our sight really is. World Sight Day is an annual awareness day, to focus global attention on blindness and vision impairment. Most sight loss is preventable, so regular eye examinations are a must to catch eye conditions early.